As small space dwellers know, the lounge room is usually the hub of chaotic family life, filled to the brim with toys, couch cushion forts and packs of roving toddlers. In an ideal world, each toy would be an exquisite work of design genius, making your home look like it sprang up from the glossy pages of a magazine. With toddlers and babies sabotaging every attempt at tidiness, we may not be able to achieve aesthetic perfection, but at least there are toys like “Rocker” by Richard Lampert to bring some beauty to the chaos. We love the designers at Richard Lampert for their clever, functional pieces, like the Famille Garage, a change table and storage unit that converts to a work bench, seat and shelves. 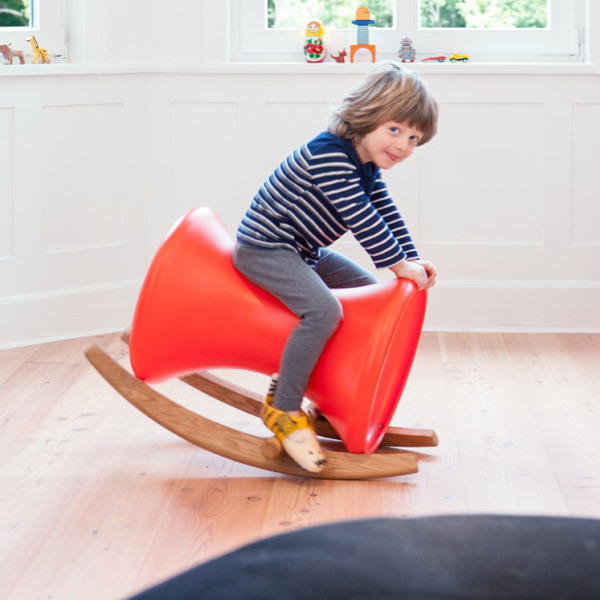 Ever in tune with the zeitgeist, they’ve created Rocker, a rocking-horse style toy that will look right at home next to your Eames chair. 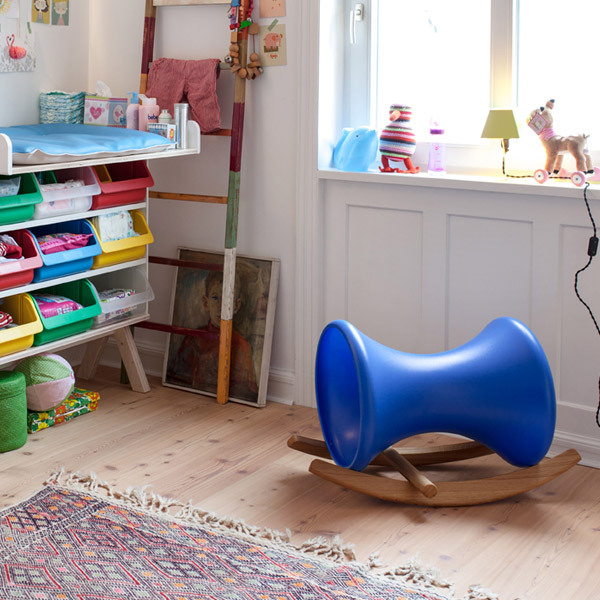 The designers observed that kids’ favourite toys are often not toys at all, but found objects, so Rocker – which looks one part toy, one part industrial pipe – was made with that idea in mind. Rocker has an hourglass-shaped plastic body and solid oak rockers lovingly polished to a satiny gloss. It comes in three simple colours: red, primary blue, and our favourite, pristine white. 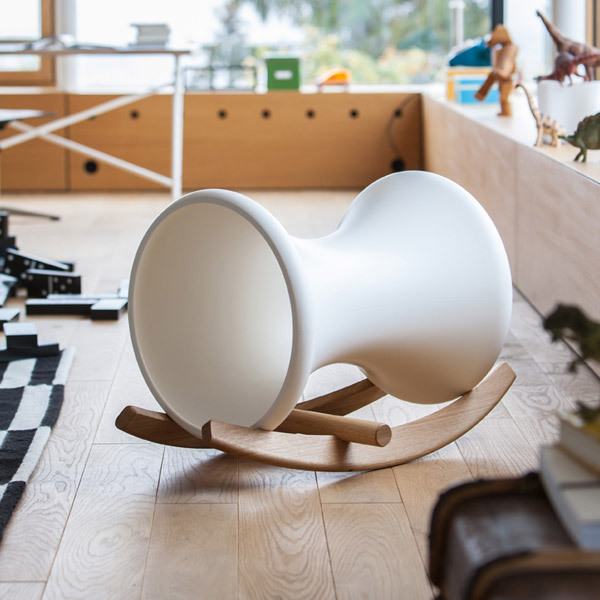 Buy your Rocker from Smow for €290. Shipping to Australia is available upon request.